Welcome to Red Rubber Inspirationals! We are excited to bring you a a weekly challenge that will focus on stamping and related techniques to inspire and enable you to create art. The deadline for submitting your projects is Wednesday, March 5th, at 11:59 PM U.S. Central Time. This is Mary Anne, your hostess this week. After Christmas and Valentines Day, I know that I have many people who need to be sent a thank-you note so our theme is Heartfelt Thanks and I am asking you to create a thank-you card. 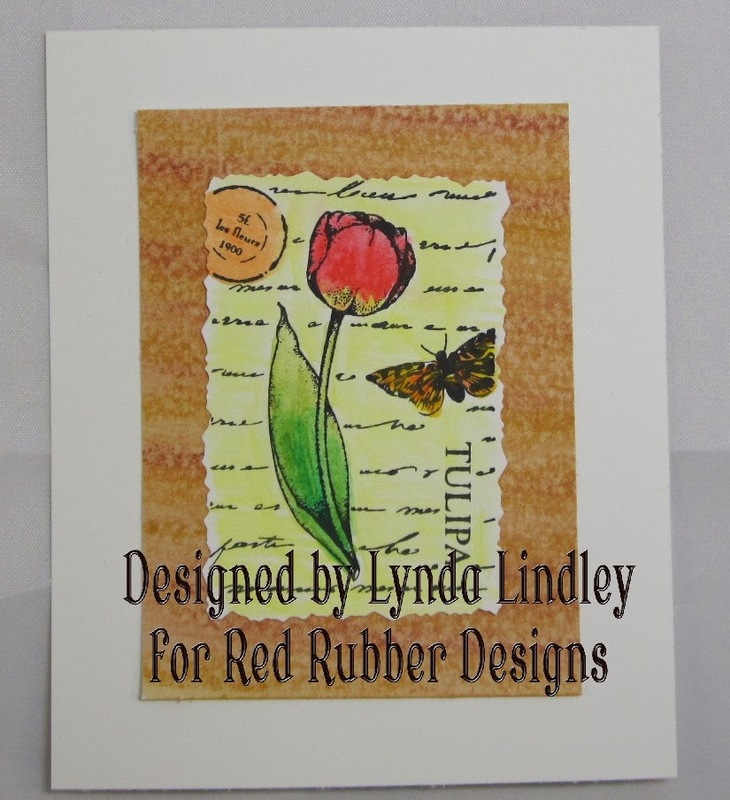 The rules for sharing your inspiration with us at Red Rubber Designs can be found HERE. 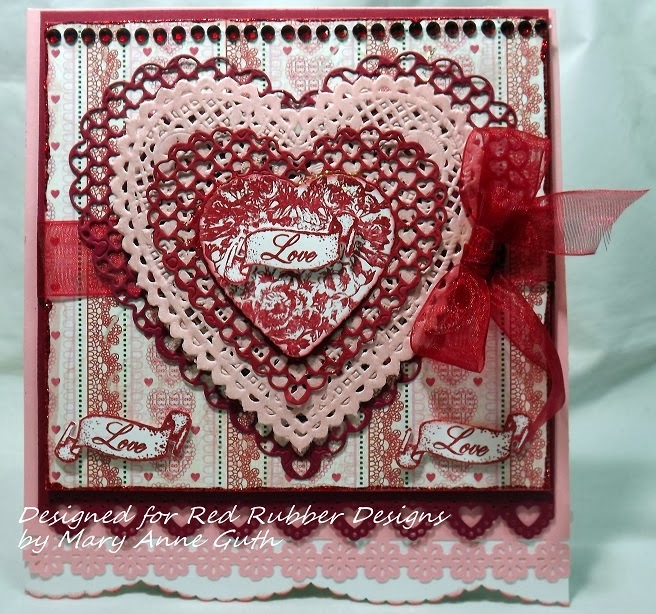 As an example, I've created this card featuring the Victorian Hearts Stamp Set and the True Beauty Stamp Set. I have stamped the images using Jet Black Stazon Ink onto Premium White Card Stock. 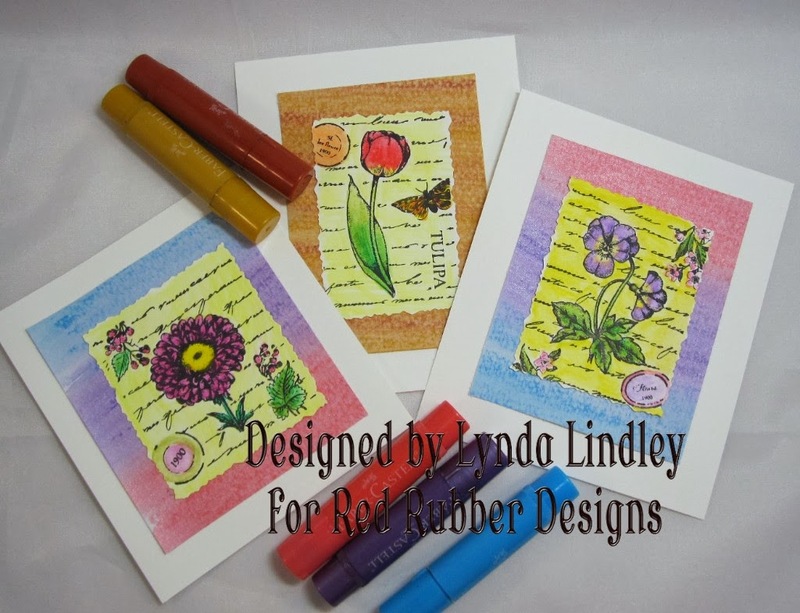 The images were stamped multiple times and layered after being colored with colored pencils. 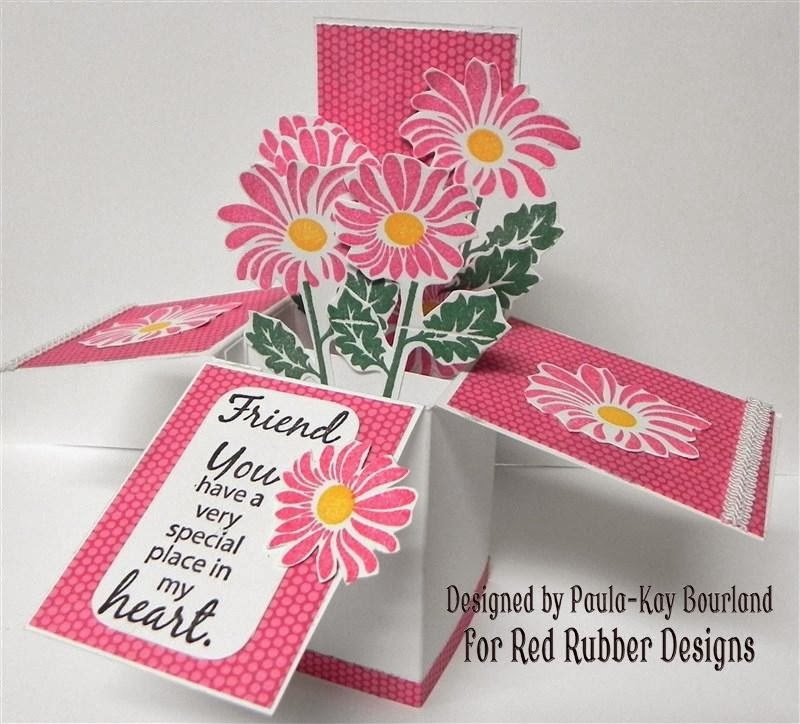 Paula-Kay Bourland has made this wonder flip fold card using the Tree Silhouettes Stamp Set and the I Heart You Stamp Set. 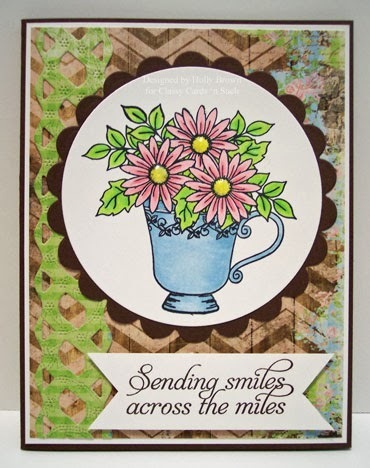 Here is a pretty Aqua Card from Kendra Sand using Fabulous Frames, Fancy Curls, and Savvy Sayings. I hope you are inspired by my Inspirational this week and link up a newly created project to this post before the deadline. Inspiration Projects - After each Inspirational, the Inspiration Team will choose three projects from those submitted via the link-up tool below which we think best reflect the theme of the Inspirational. Thank you to everyone who participated in our Inspirational #107: Dreaming of Spring Flowers! We had 15 beautiful projects submitted for the challenge. Each week the Inspiration Team choose three projects from all of the just-closed Inspirational participants. These projects are chosen because they truly capture the essence of the Inspirational. Congratulations to the creators of our three Inspiration Projects from Inspirational #107! 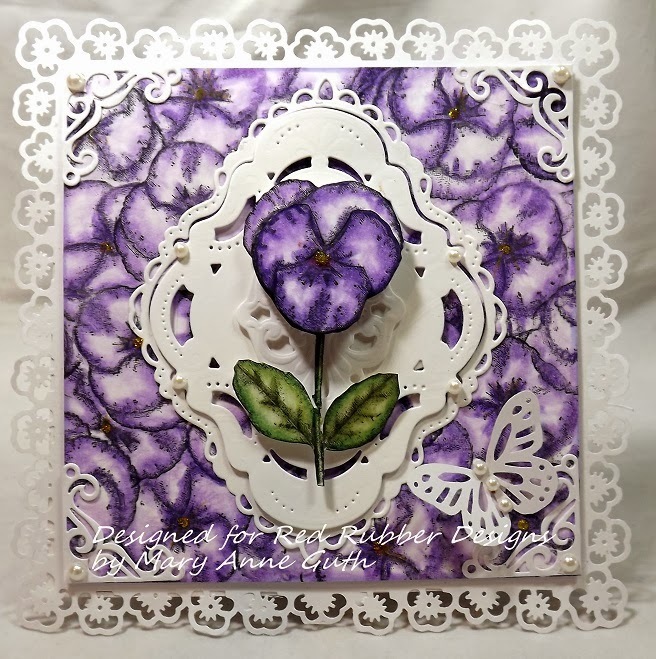 The soft almost watercolored feeling to the flowers and that purple really make this card scream Spring Flowers! 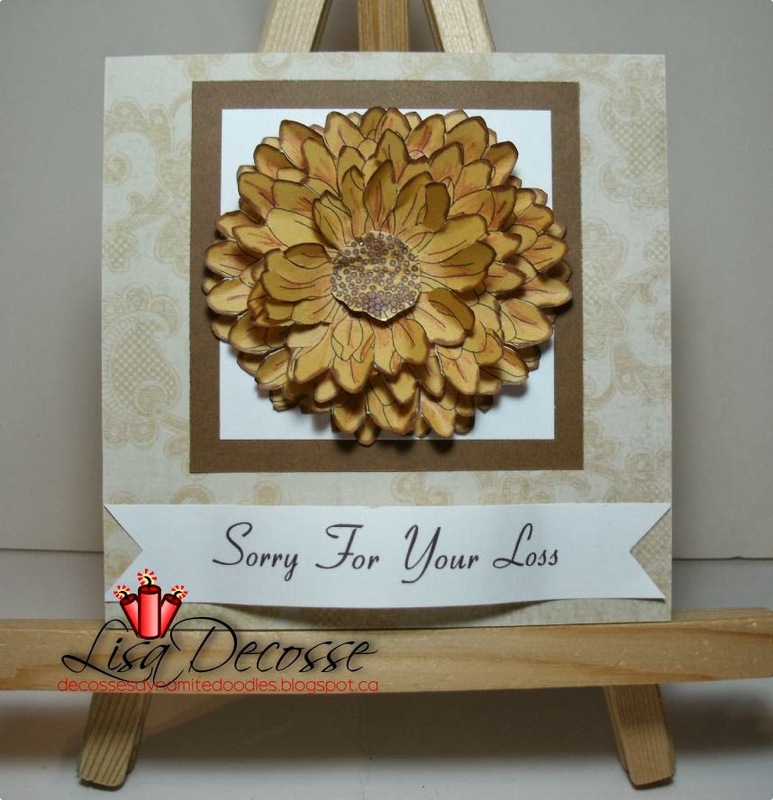 The additional daisy accent and floral embossing really tie the whole card together! These pink flowers with the dimensional yellow centers are fabulous. The color combination used throughout the project works so well to keep the focus on this wonderful floral image. Fabulous technique to get all this dimension with this floral image. 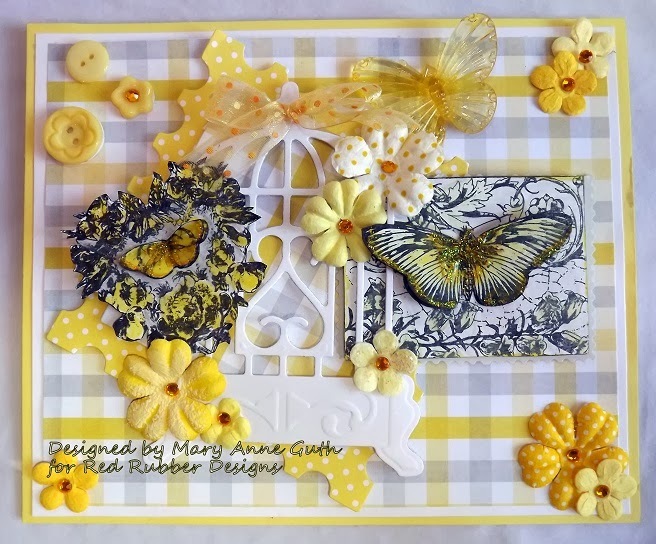 The layering of the stamped image and the use of this particular color combination make this floral image really seem to come to life on the card. All of our Inspiration Project creators are entitled to an Inspirational Badge for their blog! If your project is chosen as one of the Inspiration Projects, please send an email to - challenge AT redrubberdesigns DOT com - to collect your badge. Please include your name and the Inspirational number your project was created for. 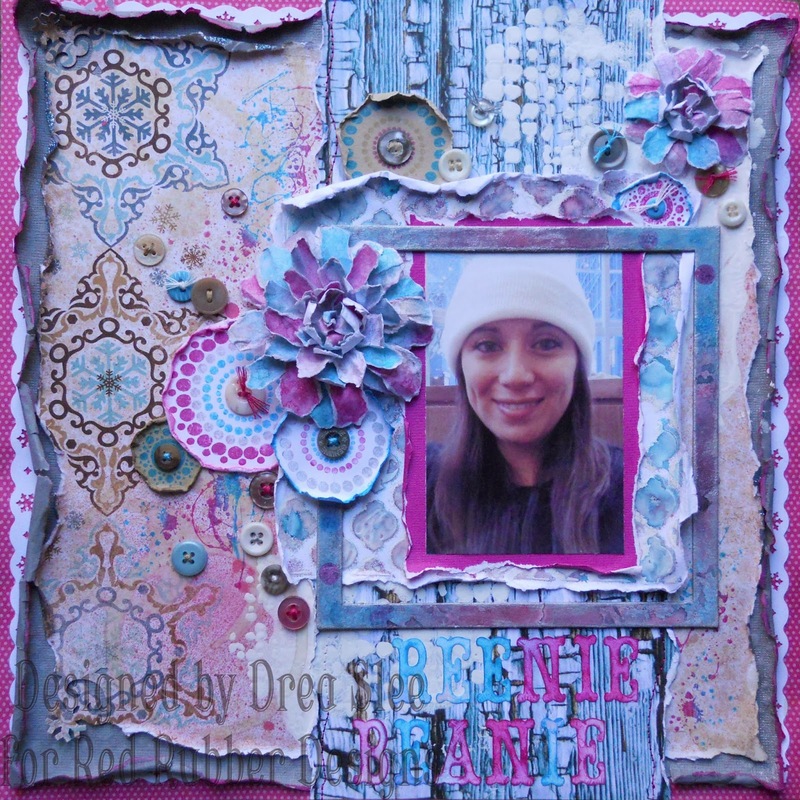 There is still time to join in our current Inspirational #108: Get Extra Inky hosted by Drea. Please link up your project by 11:59 PM (U.S. Central time zone) on Wednesday, February 126h. And don't forget our next Inspirational starts on Thursday, February 27th!! We are excited to bring you a weekly challenge that will focus on stamping and related techniques to inspire and enable you to create art! Deadline for submitting you projects is Wednesday, February 26, at 11:59 PM US Central Time. Hello! Drea here with another challenge for you! This week lets focus on getting extra inky. I want to see at least 2 different colors of ink on the same stamp. For complete Inspirational Rules, please read them here. I scrapped this recent photo of my little Sister on a trip to Canada using the So splattered stamp set with 2 colors of Palette Ink (Claret and Cote d'Azure). 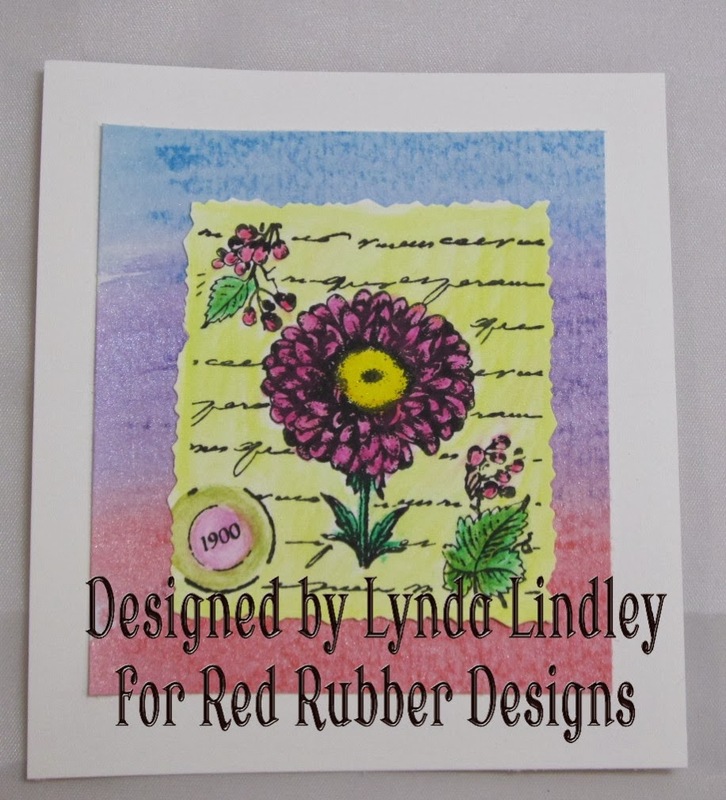 To make the small circles I used the Lotsa Dotsa stamp set, using a Q-tip to apply 3 different colors of inks. After tearing and water distressing the edges, I added some old vintage buttons that once belonged to my Grandma and Great Grandma. 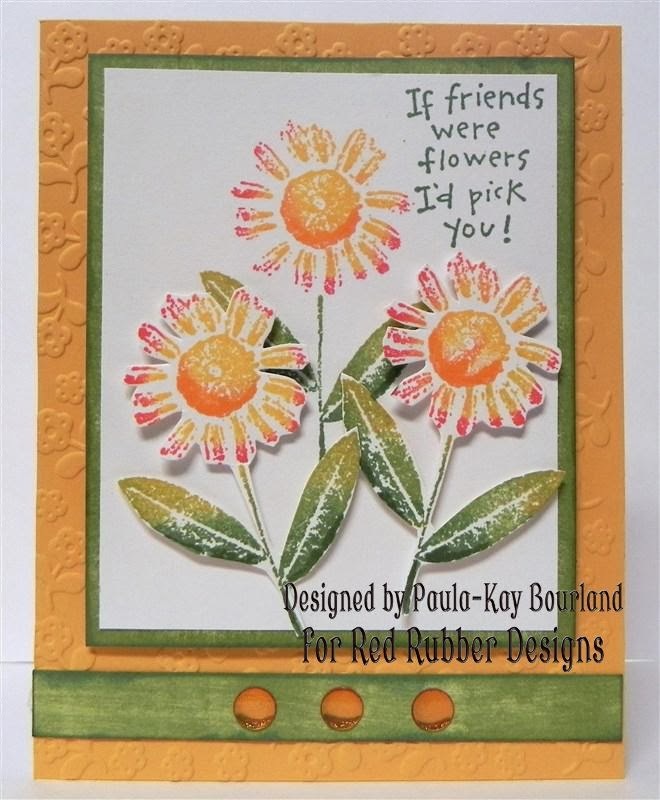 Paula-Kay did a wonderful job getting extra inky with this beautiful card that she made, using pressed flowers stamp set and friendship blocks for the sentiment! Look how much more depth those flowers have using different colors of ink! I'm sure it's making everyone long for some sun. I hope you are inspired by my Inspirational this week and link up a newly created project to this post by the deadline! We look forward to seeing what you create!! Inspiration Projects ~ After each Inspirational, the Inspiration Team will choose three projects from those submitted via the link-up tool below which we think best reflect the theme of the Inspirational. 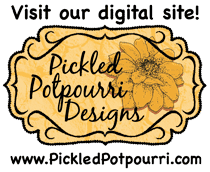 Each artist whose project is chosen receives a special Inspiration Badge they can display on their blog ~ and we'll showcase these projects each Monday following the end of the inspirational! 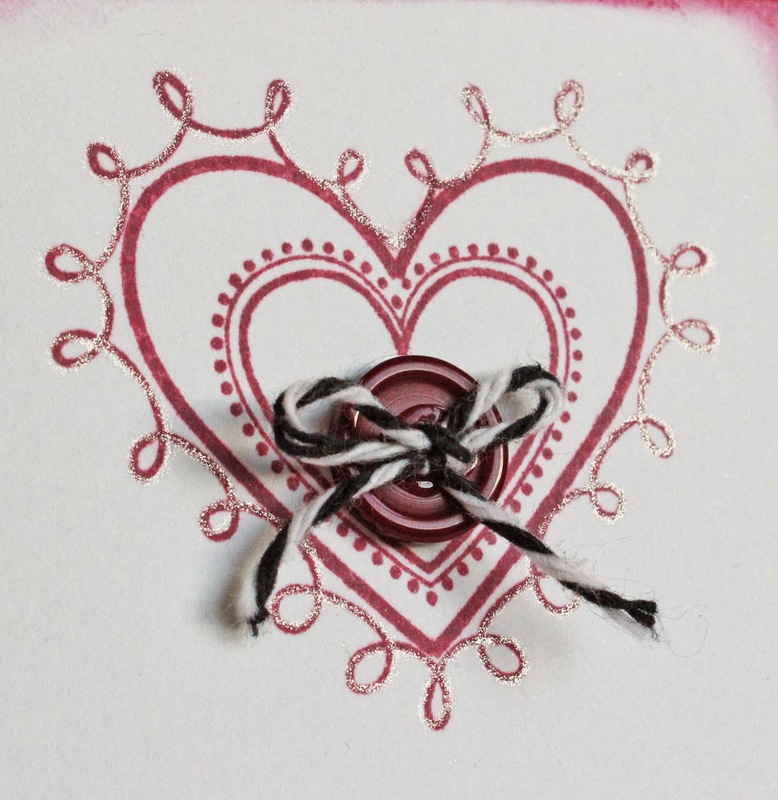 Thank you to everyone who participated in our Inspirational #106: Stamped Hearts! Such beautiful projects from everyone!! Congratulations to the creators of our three Inspiration Projects from Inspirational #106! 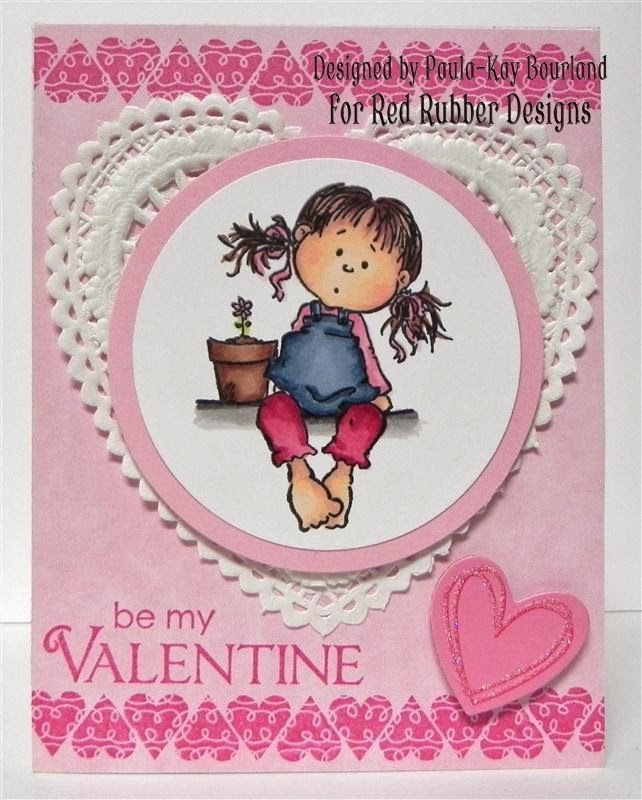 Beautiful non-traditional Valentine card! Love all the blue as well as all the layers! Such a beautiful card design full of love! Love all the layers! 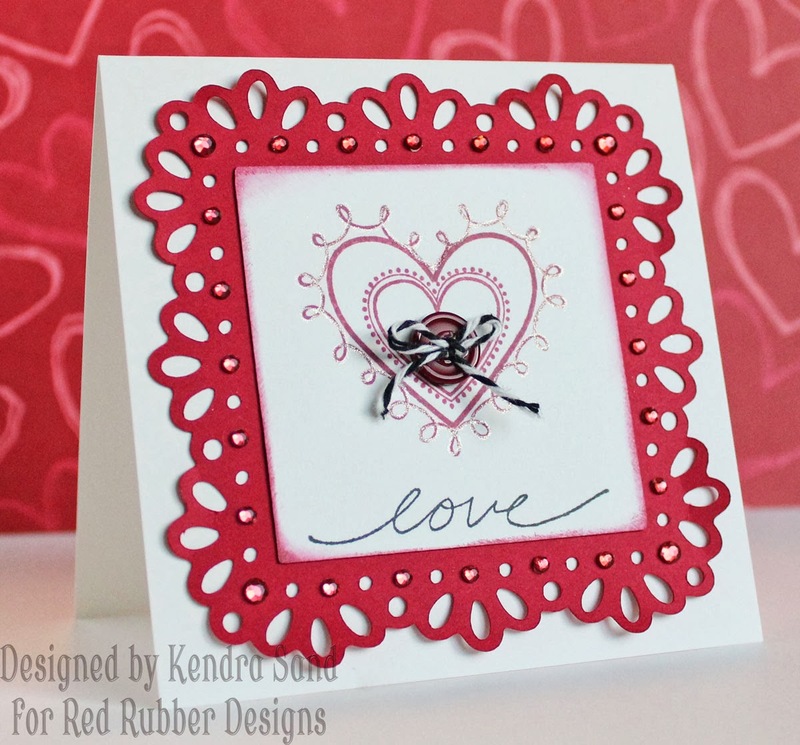 Love all the fun stamped hearts! Especially the added red ones with glossy accents! So pretty! There is still time to join in our current Inspirational #107: Dreaming of Flowers hosted by Lynda. Please link up your project by 11:59 PM (U.S. Central time zone) on Wednesday, February 19th. And don't forget our next Inspirational starts on Thursday, February 20th!! Deadline for submitting your projects is Wednesday, February 19 at 11:59 PM US Central time. This is Lynda hosting your Inspirational this week. Our theme this week is Dreaming of Spring Flowers. That groundhog saw his shadow, so that means six more weeks of winter, so what better way to start to think about Spring, but to create something that has some Spring Flowers on it. We want to see all those floral stamps. For complete Inspirational Rules, please read them here. For my project this challenge, I decided that I wanted to create a set of greeting cards that focused on the wonderful flower images of the Flower Collage Trio set. I pulled out my Gelatos and first created these wonderful backgrounds on watercolor paper. I then stamped my images onto white cardstock and used watercolor pencils to color the images in. I used deckle scissors to cut out each colored image. I mounted each image onto a trimmed piece of my watercolored background and then mounted the entire stack onto my card front. I hope these cards find you dreaming of spring and you'll put out your floral image stamps and join us! Thank you to everyone who participated in our Inspirational #105 Country Charm. We had some beautiful entries that were indeed inspiring. Each week the Inspiration Team chooses projects from all the just-closed Inspirational participants. These projects are chosen because they truly capture the essence of the Inspirational. Congratulations to the creators of our Inspiration Projects for Inspirational #105. 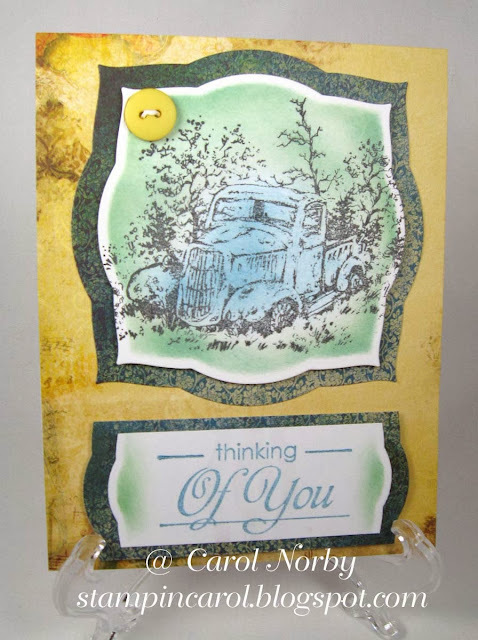 Carol N. from Stampin Hot in Arizona with this charming country scene. Who hasn't seen something like this when visiting farm country? Stacy from Stacy's Paper Crafts with this cheerful and fun cow trio. Don't you just love the way the black and white gingham design paper plays off the black and white Holstein cows? All our Inspirational Project creators are entitled to an Inspirational Badge for their blog! If your project is chosen as one of the Inspiration Projects, please sent an email to challenge@redrubberdesigns.com to collect your badge. Please include your name and the Inspirational number your project was created for. 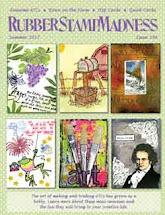 There is still time to get in on our current Inspirational #106: Stamped Hearts hosted by Kendra. Please link up your project by 11:59 (US Central time zone) on Wednesday, February 12th. And don't forget our next Inspirational starts on Thursday, February 13th. Deadline for submitting your projects is Wednesday, February 12 at 11:59 PM US Central time. This is Kendra hosting this week's Inspirational! 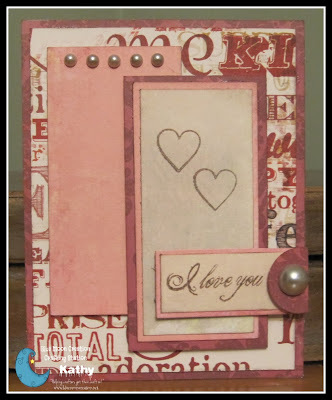 Our theme this week is Stamped Hearts! With Valentine's Day right around the corner, what better Inspirational to have! We want to see all those lovely heart stamps!! For complete Inspirational Rules, please read them here. 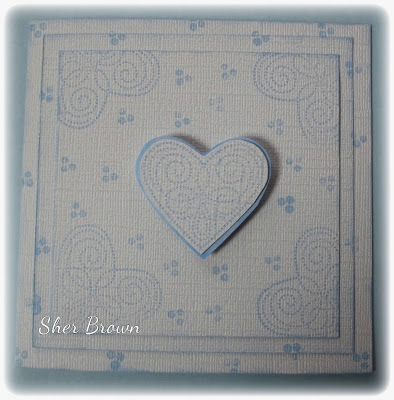 Just a single stamped heart, multiple stamped hearts, stamped heart backgrounds, create your own heart stamped embellishments...traditional colors, non-traditional colored Valentine's; we'd love to see them all! I used the I Heart You Rubber Stamp set! I love this lovely set! The love sentiment is from the Mini Script set. So elegant!! The two main hearts, are actually two different stamps in the set! Don't be afraid to layer your stamps!! I love the look of these two hearts together! Along with the added button and twine in the middle! 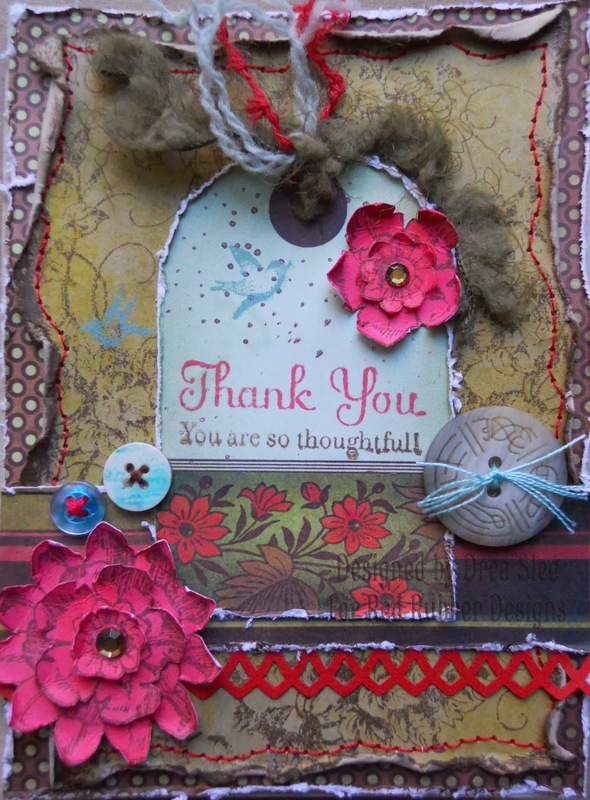 Love the stamped heart and banners from the Victorian Hearts set! She also used the I Heart You set, along with the Jackson and Amelia set! Amelia is so adorable!